There’s something in this: poetry, at the very least. 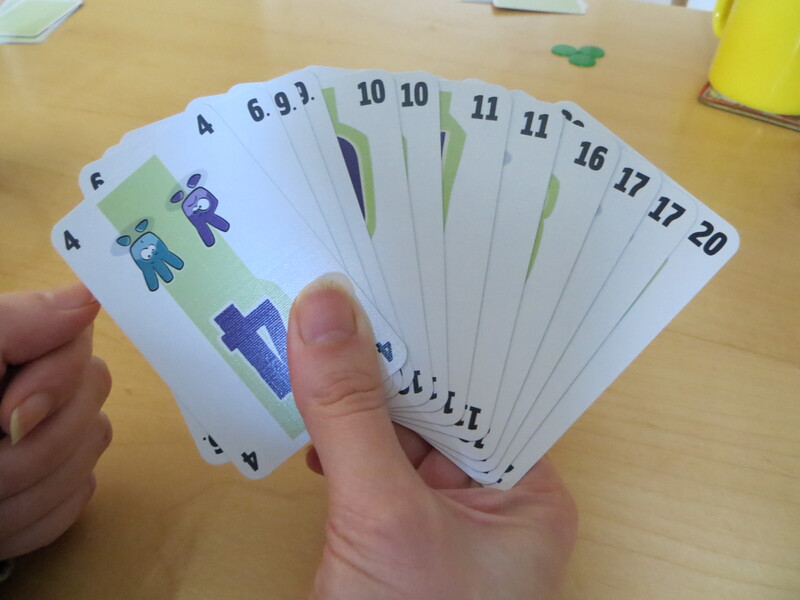 A valuable stimulus for thinking about games in a particular way. A beautiful little lie to have us thinking positively about those boxes cluttering the flat, perhaps. And a lie it may be, if we let it be. Certainly, it’s would be easy to think Smith’s ideas nonsensical. 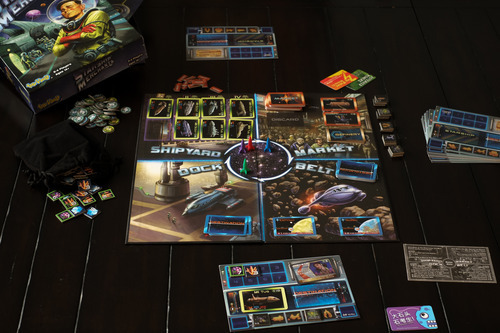 To consider the board game which sits between us as a means to connect better has a certain strangeness to it. If we meet to play a game, inevitably there’s a respect in which less of my attention is on you than it would be if we meet at a cafe with no agenda other than to talk. With a cup of coffee the only device to punctuate possible pauses in conversation, we’re going to have to find something to talk about. Whether it be a first date, or a weekly get-together with a group of friends, a conversation can, of course, fall flat sometimes. But if an emotional connection is formed in this straightforward situation, it’s probably going to be between those conversing. Make an object part of the interaction, though, and someone is going to become attached to that, and quite possibly to that alone. At Oxford on Board there are people I see just about every week, about whom I know practically nothing – nothing save, I guess, a broad idea about their respective tastes in games. 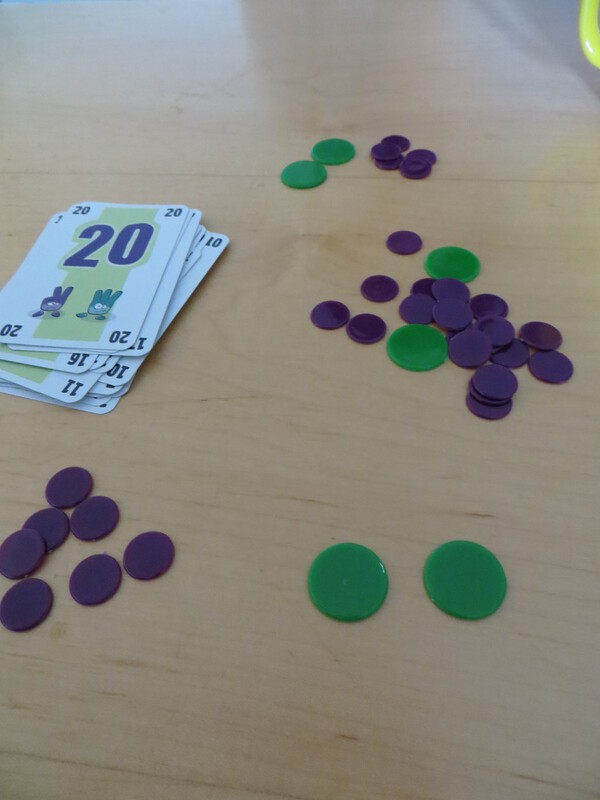 I think an uncomfortable truth of board gaming is that many regular players see their opponents as the mechanism, rather than seeing the game in this light. You fill the role of making the other pieces move, of changing the state of play, but that’s it. The excitement for such players is what’s left after you’re done – they’re playing with the choices you’ve left behind, rather than playing with you. Every week at Oxford on Board I see people pulled into playing games it’s evident they will dislike (and I’m sure this is not exclusive to our club): the owner leaves happy that he or she got to play his or her game, with little or no concern for how his or her opponents may have felt. I can believe Smith’s approach is different. 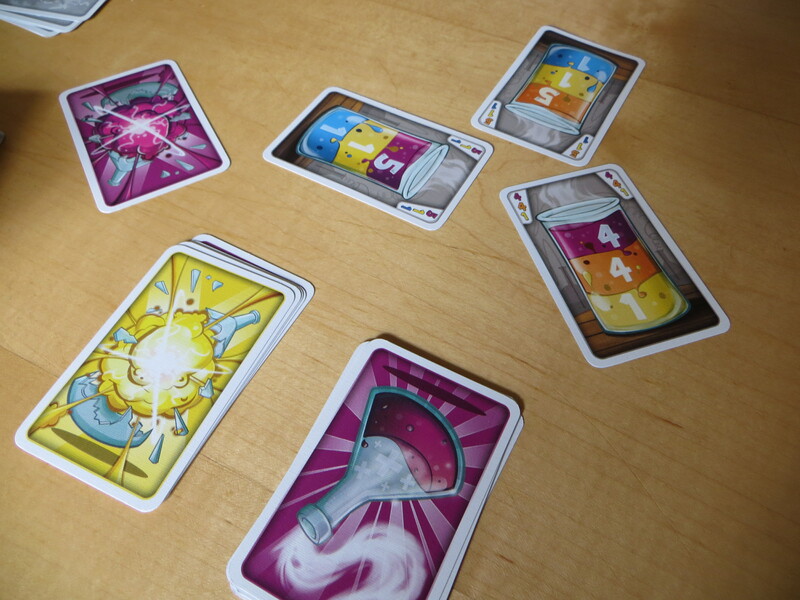 I can believe the game is the mechanism in his view – a means for players to share experiences. Elsewhere in his article, Smith recounts the story of a recent game of Memoir ’44: Overlord, in which the participants ‘played wearing wobbly helmets and camo trousers of impossible size,’ because ‘when you augment a game’s components to such a ridiculous extent, you can’t help but share something, and remember that game for the rest of your lives.’ It reminded me of the idea of wearing a suit to take charge of the FA Cup final in the computer game Championship Manager / Football Manager – a phenomenon which has a Facebook group with 13,000 members. Both ideas are likeable in a very broad sense. In each case the game itself appears a bit buried by the experience built on top of it. So what? 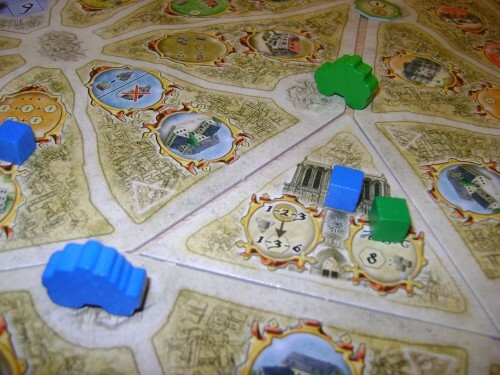 The challenging aspect of this way of thinking for those who take board games seriously, be they collectors or critics, designers or other devotees, is that it diminishes the importance of the game itself. 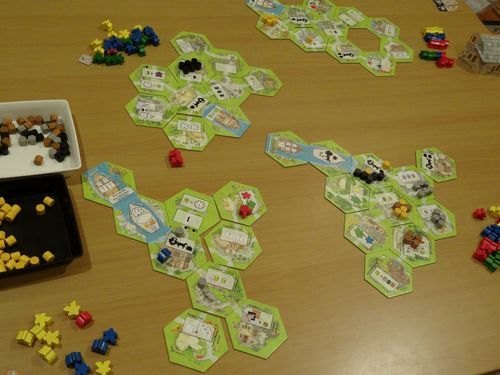 Those whose only interaction with board games is to hype up and hold a game of Monopoly or Risk every two to three years – who stage the game as an event, perhaps as part of a party, embracing the disappointment and disputes those games bring as part of the event – are using the game as the platform for an experience, and thereby can probably be said to have a more healthy relationship with the game in question than many of us probably do. The game in these cases is an excuse; a reason to interact with the other players in a particular way – play fights, mock anger, braggadocio. The players bring the fun (in part, of course, because they have to – Monopoly and Risk alike are parsimonious in offering enjoyment themselves). What’s good and bad in this is that the experience is dependable. The game itself is squeezed out: the player is not so much playing Monopoly, but playing at playing Monopoly – doing all those things you’re meant to do while playing, acting out all the huffs and strops that you’re meant to have while playing. The unpredictability that can be a part of modern board games can be harder to fit with this approach (though Smith’s game of Memoir ’44 demonstrates how a dynamic game can provide a secure foundation for silly fun). I guess the point I want to applaud is seeing value in interactions and in experiences, rather than items. Playing board games is a hobby which can easily consume time, and anything to which you give large amounts of time shouldn’t be allowed to consume what’s valuable in you. Play with your opponents, not with a string of game states. Play playfully. Play bad games to spend time with good people. When an idea becomes heated enough, it can convert that heat into kinetic energy. An idea possessed of such momentum does not remain confined within a single mind: it passes through individuals, paying little heed to the apparent truism that there needs to be a connection between thought and thinker. 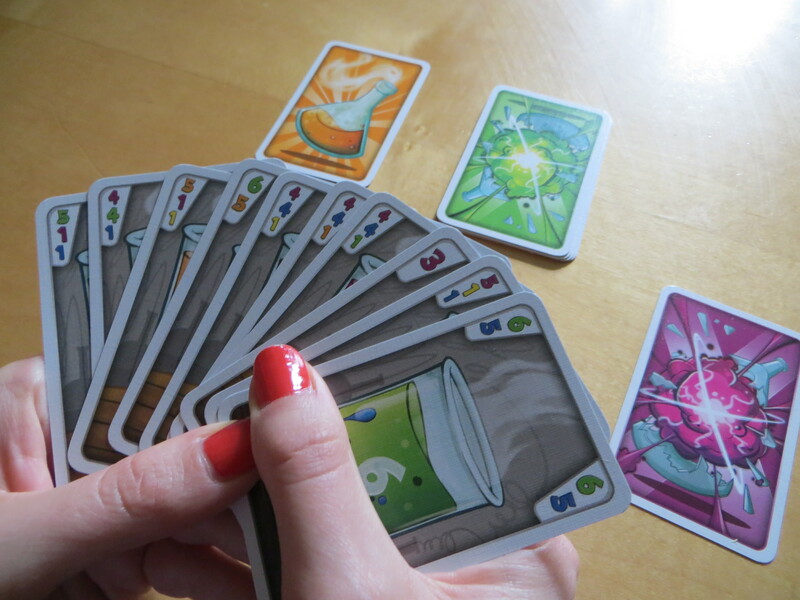 In the past couple of weeks, such an idea ripped through Oxford on Board – the games club I attend. I think essentially the idea was to make an event of a game in order to elevate the shared experience it offered: in other words, to play a big game together, in order to be united in having played a big game together. 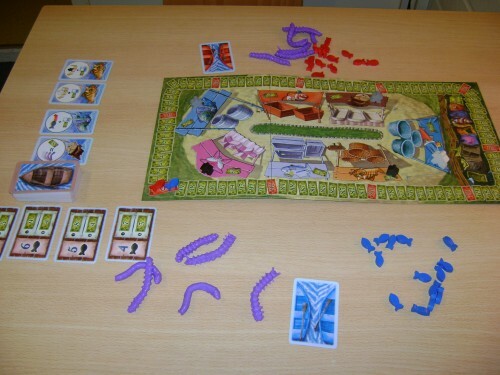 The game in question in this case happened to be the Game of Thrones board game: the force of the idea led to two members buying copies, which were yesterday played simultaneously. I don’t doubt the wish for shared experience could have found its focus in another game. In many respects I wish it had. However, sometimes one has to be there. I had read that A Game of Thrones: The Board Game leant heavily in its design on Diplomacy – the archetypal negotiation-driven conflict game, and a game of which I am fond. Though I realized that to my taste many of the extra mechanisms in A Game of Thrones would feel superfluous, I was expecting to recognize the heart of Diplomacy within it. I did, I guess, but only in the same sense that a Francis Bacon painting recognizably depicts a pope. I couldn’t help but feel that much of A Game of Thrones: The Board Game was engineered to limit the importance of negotiation – which is a bit like trying to make a whist variant which limits the importance of taking tricks. Uncertainty, in A Game of Thrones: The Board Game, made long term plans little more than flights of fantasy (so to speak). At the beginning of each round the draw of a card would determine whether or not reinforcements would be available on that occasion: this made grabbing new territory a pure gamble rather than a calculated risk: if reinforcements were permitted, one could consolidate one’s new territory, if not, one faced being spread too thinly, and thus open to attack both in one’s new regions, and in those left underprotected as a result of the advance. Similarly, an unexpected change in tie-break conditions could mean one’s upper-hand in a border dispute evaporating without warning. Meaningful negotiation requires meaningful evidence: you need to be able to show your neighbour that you cannot hurt him or her in order for trust to be established in a pact. A joint plan of attack requires knowledge about what both parties stand to gain. Though you might try and deceive an opponent by misrepresenting evidence – suggesting, say, a ship in water bordering common territory cannot possibly have malicious intent – for this to be believed still depends upon the idea that evidence is readable. In A Game of Thrones, too many random events renders too much evidence unreadable. Because the rules of a particular round may differ significantly from the last, the readings of the game state upon which mutual plans might be founded become little more than palmistry. The winner of our game, playing as Martell, attacked both his neighbours, Tyrell and Baratheon, within the first few rounds. In contrast, in Diplomacy immediately alienating both of one’s direct neighbours would mean certain defeat. In that game, one needs to cooperate to advance, at least in the early stages of the game. The excitement comes from the knowledge that all the while one’s partner remains, fundamentally, an enemy. If one’s enemies are never more and never less than enemies, that richness is entirely lost. In part, it should be said, luck allowed our winner to achieve that result: he was joint-last at the start of the final round. However, further mechanical elements of A Game of Thrones made this anti-cooperative victory possible. 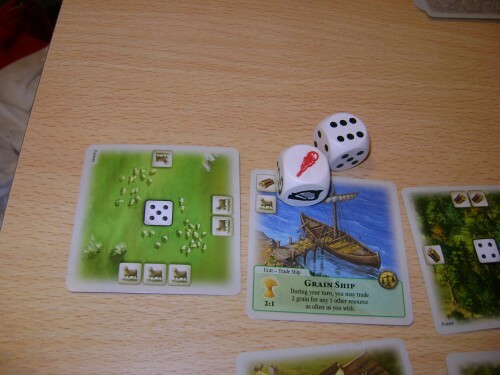 Where, in Diplomacy, only one unit can occupy each territory, and all units are of equal strength, in A Game of Thrones: The Board Game, neither of these facts is the case: large armies of more powerful units can occupy single spaces. This means that an individual player is more able to build a potent force by himself or herself, and will therefore have less need for support from third parties in attacks. Relatedly, it limits the spread of units across the board, in that more units will likely be needed to stay home to defend heartland territory. Thus, players will have less chance to enter direct contact with an opponent starting in an opposite corner of the board. In sum, I was reminded of the ‘Gunboat’ Diplomacy variant: one in which negotiation is strictly outlawed. In a game played by these rules, the individual flavour of each country is much diminished: knowing one’s neighbours only by a pepper of rifle-fire makes them largely indistinguishable from one another. It’s the need to explain one’s motives, to justify the unjustifiable, that makes playing as each power in Diplomacy the great experience it is. Indeed, as the game, in regular Diplomacy, is the diplomacy. Moving the pieces around the map is not the game, only the record of what has happened in the game. A Game of Thrones mistakes the board for the game, and is a gross contortion of Diplomacy as a result. There’s to be a follow-up game next weekend. In spite of all my reservations, I may still get involved. Shared experience is a powerful thing.